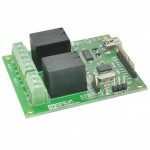 URMC8 8 Channel USB Relay Module is great for controlling your devices through USB without any USB protocol knowledge. 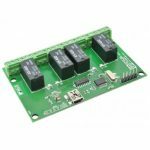 This modules plugs in to your design seamless. Individual relay can be controlled by simple commands. 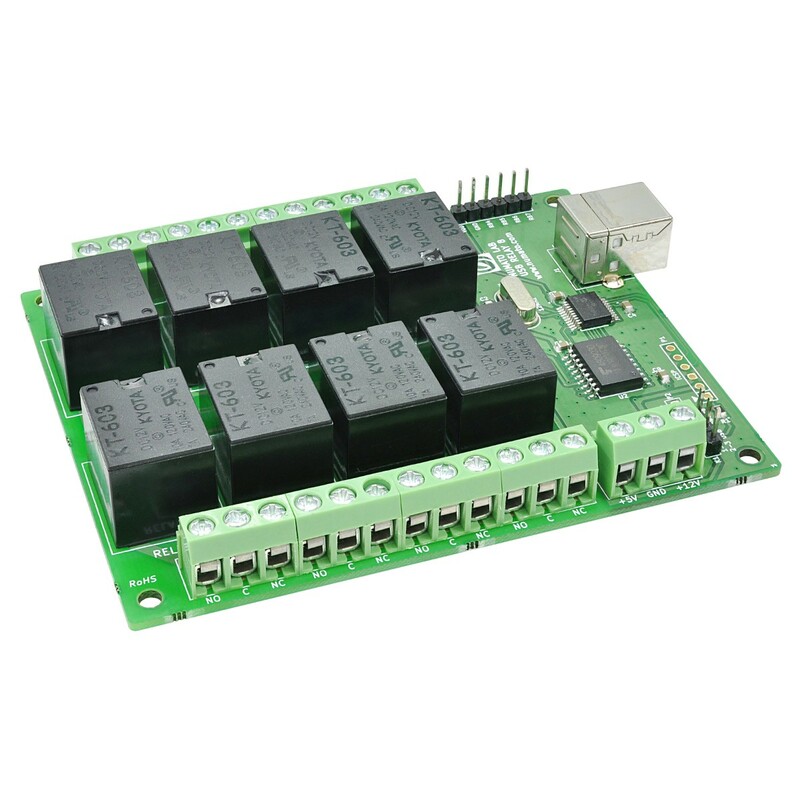 URMC8 8 Channel USB Relay Module is great for controlling your devices through USB without any USB protocol knowledge. 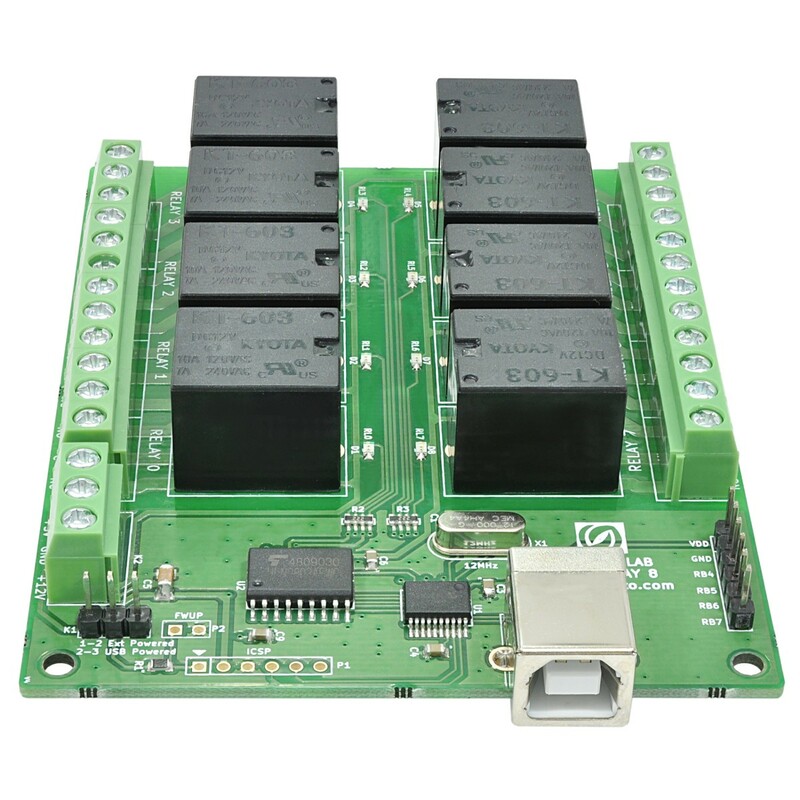 This modules plugs in to your design seamless. Individual relay can be controlled by simple commands. 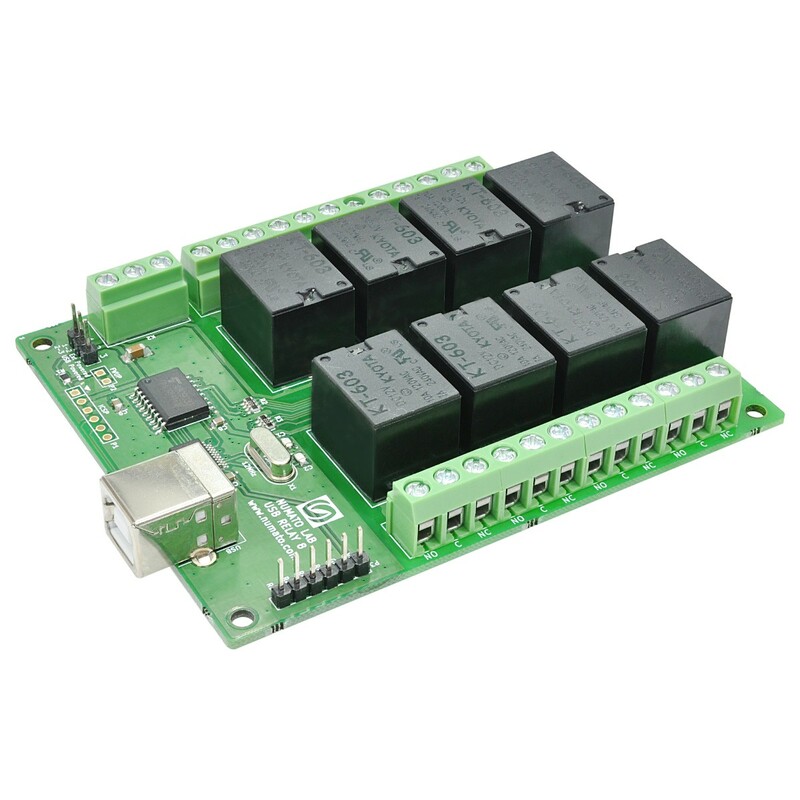 Numato’s URMC8 8 Channel USB Relay Module provides exceptional value for money. 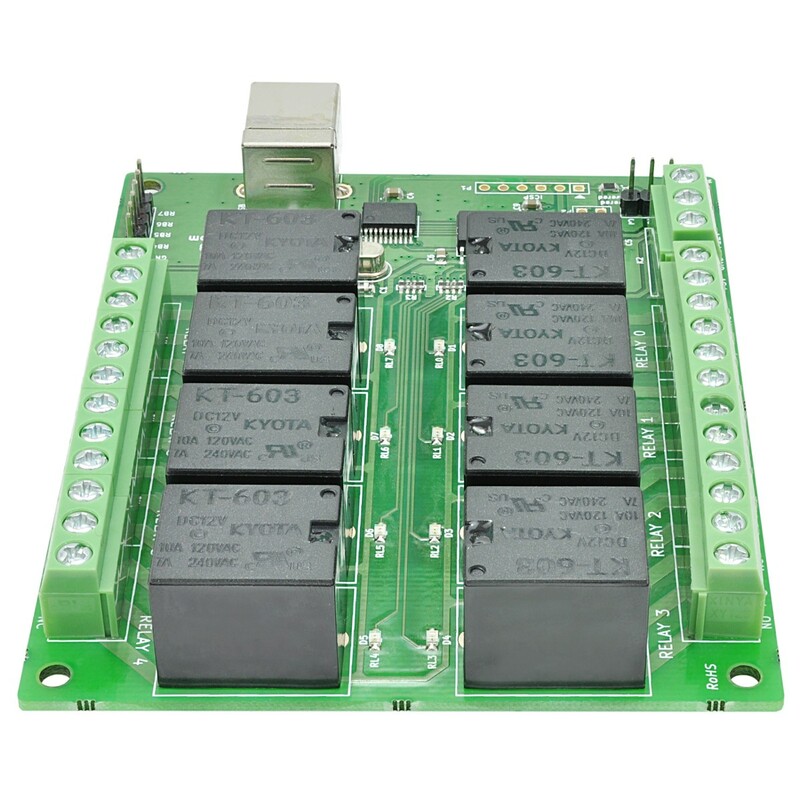 It has eight on board 12v DC relays that can switch up to 10A load.The relays are controlled by USB capable Microchip PIC Microcontroller (PIC18F14K50) and comes with built in firmware that supports simple commands to control relays and read relay status. The board, when attached to a PC/Laptop shows up as a serial port and all you need to control the board is a serial terminal application like HyperTerminal or Putty. This board can easily be controlled by writing simple serial port application in VC++, VB, VBA (Word, Excell etc), Perl, Python etc.